Looking for cheap dinner ideas? 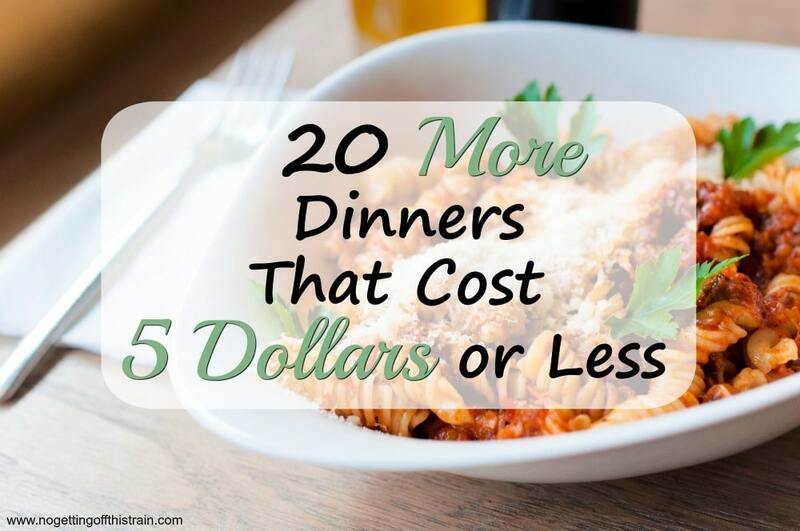 Here are 20 more dinners that cost 5 dollar or less, with recipes and cost breakdown! Welcome to my second edition of 20 Dinners That Cost 5 Dollars or Less! 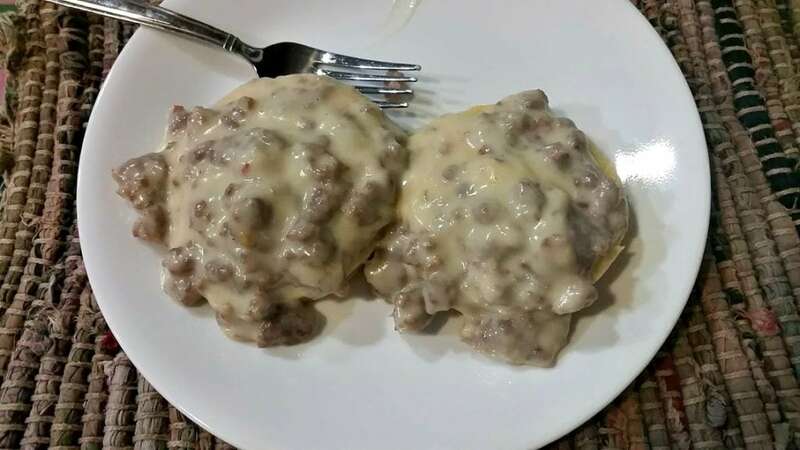 My first edition is the second most popular post on my blog: 20 Dinners That Cost 5 Dollars or Less. 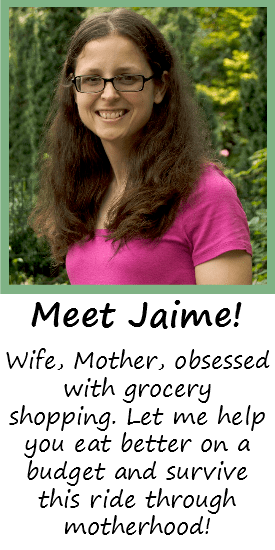 I totally revamped my list this time around to include more recipes! In my last post, I tried to keep the entire cost of dinner under 5 dollars. Meaning, if you wanted tuna melts for dinner, I included the entire loaf of bread and a whole bag of cheese in the cost. With this post, I only added up the cost of ingredients just for that recipe. So some of these will come out to more than $5.00 at first, but you can use what’s left over to create more dinners, saving more money! These prices are based on what I find at Aldi, so your mileage may vary. Also, the list below only includes the main entree. Add a couple fresh vegetables for a more well-rounded meal! Take your time and hopefully you’ll come out with more meal ideas and motivation to keep it simple and cheap! What are your favorite cheap dinners? Share in the comments below! Cook noodles drain, mix in soup , add black pepper to taste . Put in 9|13 pan and heat in oven on 350 until heated through , about 25 minutes. Serve. Chicken quesadillas; flour tortillas, one tomato chopped, one onion chopped, fresh cilantro chopped, shredded cooked chicken breast, one cup shredded cheddar, butter to cook in. Mix vegetables and cilantro in bowl , add salt and pepper to taste. Take a flour tortilla and put a little cheese , chicken , and veg.mix on it. Fold in two. Melt butter in skillet and brown tortilla on both sides. Serve warm. Thank you so much, Dannelle! I’ll change it!